I just received an email reminding me of the controversial commentary from James R. Delisle posted last month on Education Week. The title of Delisle's article is "Differentiation Doesn't Work". In this blog, I am posing it as a question instead. To answer such query, however, is not an easy task. 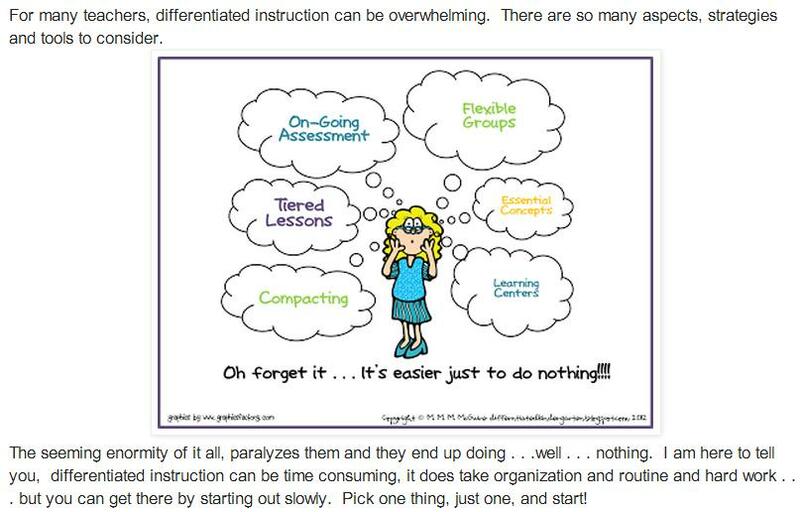 Differentiated instruction is very complex as it involves assessment, planning and flexibility. All of these tasks hinge on the qualities of the teacher. A teacher who understands where his or her students stand is a good teacher. A teacher who tailors his or her lessons to maximize student's engagement is a good teacher. A teacher who can recognize that something is not working and needs to be adjusted is a good teacher. And the above is just the first step in differentiated instruction, understanding where the students stand. There is such a thing as incorrect assessment, and as in the above instance, wrong impressions on students can be made. Doing the other steps requires even more from the teacher. To plan and to be able to change in the last minute definitely needs a good mastery of the subject and its pedagogy. Allow students to work alone or with peers. Designing an experiment to evaluate its effectiveness is also very challenging because of the myriad of factors and its immense dependence on the quality of the instructor on how differentiation is implemented. Thus, it is not an easy task to find from research dependable experiments that measure the effectiveness of differentiated instruction. One teacher who started on something small, differentiated homework, finds "The results do not support the use of a differentiated homework structure for the acquisition of biology content or mastery of concepts." In primary schools in the Netherlands, a similar observation has been found: "Results showed that differentiated instruction has no statistically significant effect on student mathematics achievement, which was against expectations." These studies perhaps do not invalidate the differentiated instruction approach because one can always make the excuse that it is a failure of implementation. But critics say differentiated instruction encourages teachers to categorize students based on popularized notions that may not actually be accurate or helpful in making content more accessible. Lastly, Greg Ashman made the following graph from PISA and TALIS data. 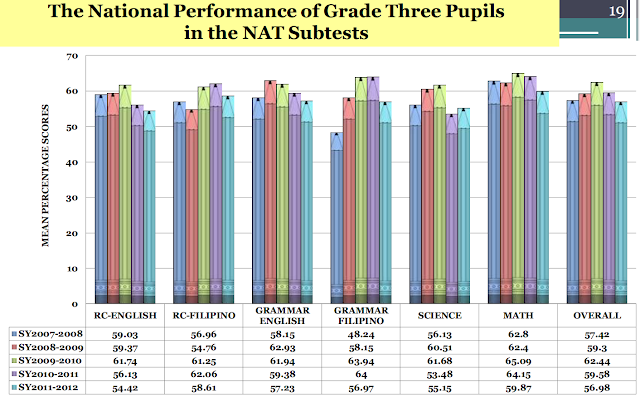 Above copied from Greg Ashman's Your own personal PISA - what does the TALIS show us? 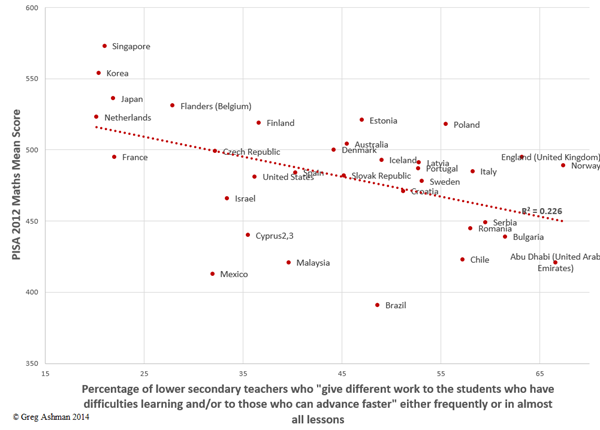 This is simply a correlation, and it is weak, but is negative, that is, countries that perform well in PISA do less differentiated instruction. 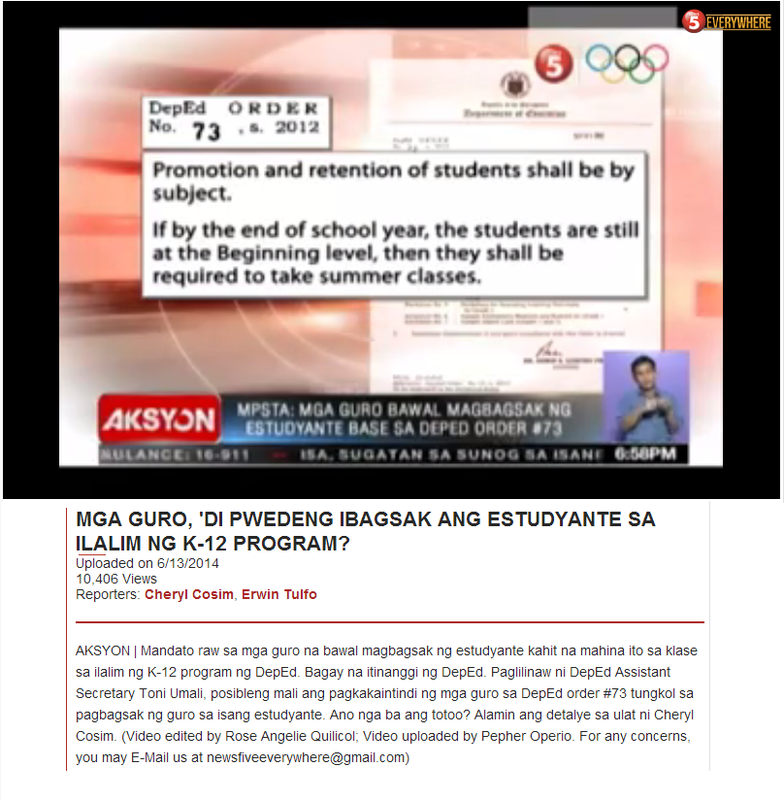 Obviously, it is not a solid proof that differentiated instruction does not work. But it also shows that there is no proof that it does. Differentiated instruction taxes a great deal from a teacher. With the planning and management of different tasks or activities occurring inside a classroom, as Greg Ashman points, there are opportunity costs. If a teacher fails to do more compelling tasks (or even trivial ones, like collecting homework and helping a child organize), there is a price to pay for a teacher who spends more time on walking around the room just trying to keep the class in order during differentiated instruction.